If you are exploring orthodontic options in the Sacramento area, you’ve probably considered Invisalign at some point. This treatment straightens the teeth using clear trays rather than metal brackets, bands, and wires. Because of its discreet nature, many patients choose Invisalign over traditional methods. Before you start your orthodontic journey, our team wants to share a few tips and tricks for maximizing your Invisalign experience. Wear your aligners until you become accustomed to them. Like any orthodontic treatment, it can take some time to become accustomed to your new aligners. For this reason, some patients are tempted to remove the trays for periods of time. However, if you wear your trays consistently during the first few days, they should start to feel normal. If you experience any tenderness during the first week, take over-the-counter pain relievers as necessary. Wear your Invisalign trays for at least 22 hours every day. The most significant key to successful treatment is patient compliance. In order to work as intended, your orthodontic trays need to be worn for at least 22 hours every day. In other words, you should only remove them at meal times and when you’re cleaning your teeth. Practice speaking while wearing your aligners. Some patients notice a difference in their speech when they first try in their aligners. This is perfectly normal and is not a cause for concern. This side effect will diminish once your mouth becomes accustomed to your Invisalign trays. To expedite the process, we recommend reading out loud, or practicing words that are particularly troublesome. Care for your aligners properly. It is important to clean you Invisalign trays properly every day. Invisalign offers their own line of cleaning products, but antibacterial soap and warm water work just as well. (Never use hot water, as it can warp the trays.) We do not recommend cleaning your aligners with toothpaste; this can actually scratch them. Proper oral healthcare is essential while undergoing orthodontics. Because the trays are removable, patients who choose Invisalign can brush and floss just like they did before they started treatment. You should brush at least twice a day – preferably after every meal. Additionally, clean between the teeth using floss once daily, and use an antibacterial mouthwash. These habits will help keep your teeth and gums healthy. Wear your retainer as directed. 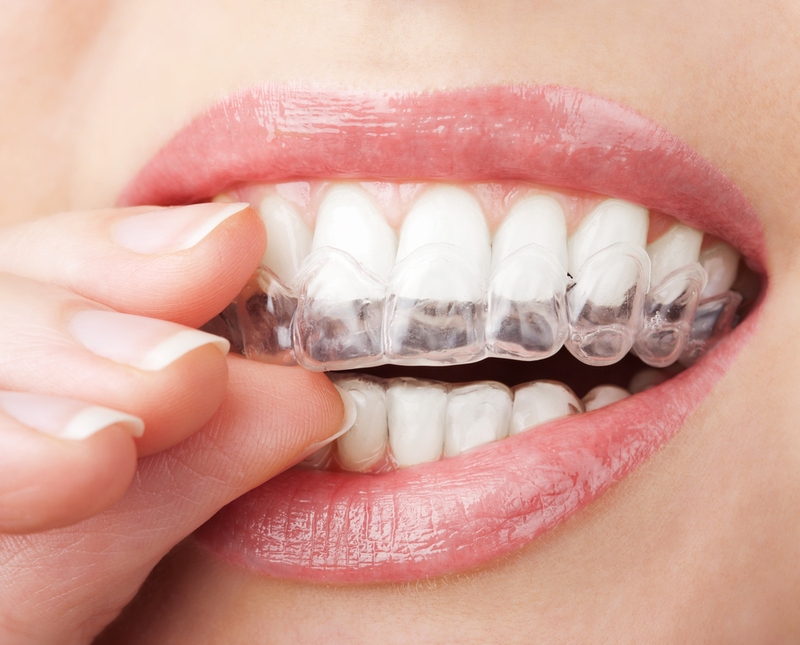 Once you have completed Invisalign treatment, you will need to wear an orthodontic retainer. This appliance will keep your teeth from moving back into their old locations. There are many different kinds of retainers available. However, many patients choose an Essix retainer, which is quite similar to the trays you wore during treatment. It is important to follow Dr. Mickiewicz’s instructions regarding retainer wear. Depending on your case, you may need to wear your retainer during the day for a few months. Others will only need to wear it during sleep. Did you know that most American consider an attractive smile essential to success in life? If crooked, overlapped, or gapped teeth are keeping you from living your best life, consider what Invisalign can do for you. To learn more, schedule a consultation at our Sacramento, CA practice. You can contact us online anytime or give us a call at 916-469-9178. We look forward to working with you on your journey.